In the planning stages of Rebase we spent a lot of time talking about which tools and apps we thought were really important for ecommerce stores to use. We wanted to start with the basics we thought almost every Shopify store needed, regardless of their product or industry. One of those basic functionalities for any brand that sells their products in physical stores is a map listing those locations. There were already a handful of store location apps, so what could we bring to the table? In our experience with clients we’d seen some pains not alleviated by any existing location app and decided to solve them first. The number one complaint about store location apps we came across was how big a pain adding and managing store location information within the app, especially for wholesalers listing dealer locations. Often dealers would move locations or change hours without any heads up and customers would complain about information being outdated. So, how could we solve this problem? Thanks to it being essentially required to have a Facebook Business page these days, we thought that’d be more often than not the best place to find accurate information about a business. Even stores without their own websites have Facebook pages! 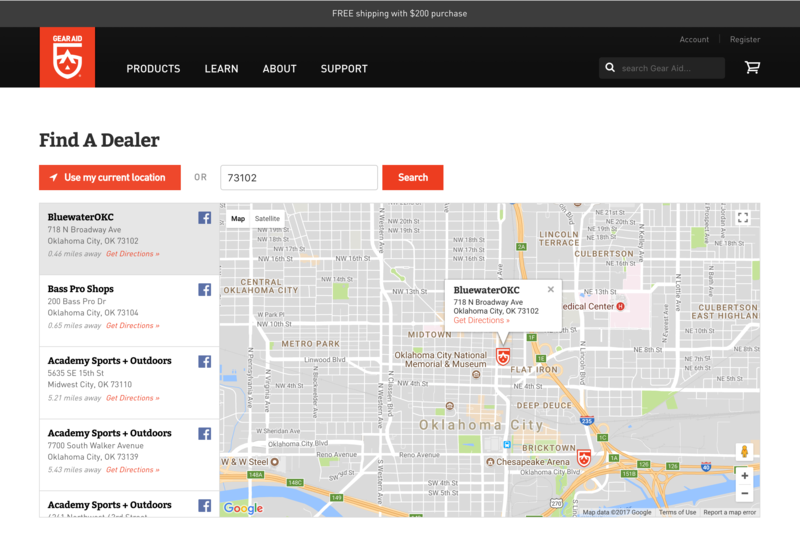 So we built Places to primarily pull a store’s information from their Facebook Page. What about wholesalers selling to multi-location chains? Not a problem. Places can search for an entire brand and add every location. If an outdoor Shopify brand sells to REI, that’s one quick search for @REI in Places to add every single REI store. If REI changes the hours for all their stores? No problem. If they change their Facebook pages to the new store hours, your Places map changes as well. That’s a clear saving of your administrative time. You can also choose whether or not to link to those same Facebook pages within the Places map. Of course, you can still add a store the old fashioned manual way, too. Though your time may be better spent convincing your dealer to create a Facebook Business page! How do we make it better for customers? If we solved admin pains with looking up stores by Facebook pages, what pains could we solve for the actual customers using the app? If we’ve learned anything about consumers these days it’s that they don’t like to wait. For anything. Especially not a map. So, we made it load quickly. Can we make it a more pretty? We realize maps are utilitarian to some degree, but does that mean we have to use the default Google red tear drop to pinpoint a location? Or worse, use store specific logos (already potentially badly designed and not square) and squash it to a square image and use it as our pin? Woof. If you’re a wholesaler driving business to a dealer, it seems fair enough to use your own logo as the default marker. Much better! Places also automatically inherit your brand’s own colors and typography, so they fit right in on your store.